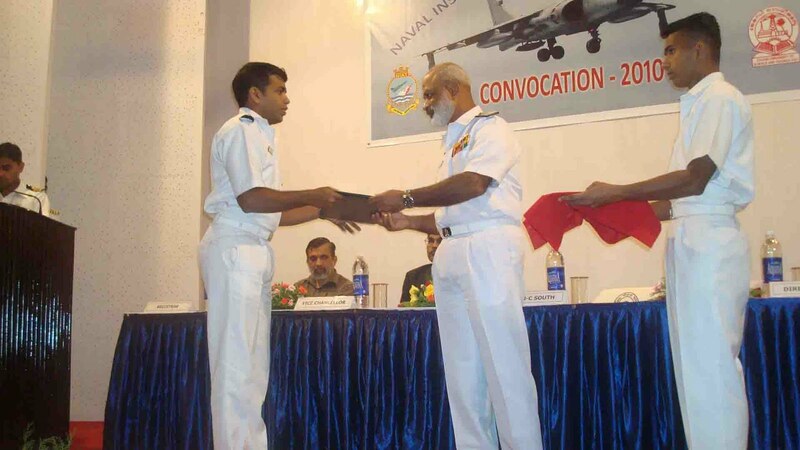 The fourth Convocation Ceremony of the Naval Institute of Aeronautical Technology (NIAT) was held at the Udaan auditorium at Naval Base today. During the ceremony, a total of 330 Naval Air Technical personnel who successfully completed the MTech, BSc, Post Diploma and Diploma courses were awarded certificates by Cochin University of Science and Technology (CUSAT). Flag Officer Commanding-in-Chief Southern Naval Command, Vice Admiral KN Sushil, was the Chief Guest of the function. Dr Ramchandran Thekkedath, Vice Chancellor, Cochin University of Science and Technology (CUSAT) was the Guest of Honour. Commodore VR Kandru, Director, NIAT and Dr N Chandramohan Kumar, Registrar CUSAT were amongst the other dignitaries present. In his address, Vice Admiral KN Sushil, acknowledged the gratitude of the Indian Navy to CUSAT for embracing the Navy as a part of the University family. The Admiral stressed that in this age of advanced technology, it is imperative that we know our enemy, not only mentally and physically but also by the systems he operates. Dr R Thekkedath emphasized the role of discipline in professionalism. 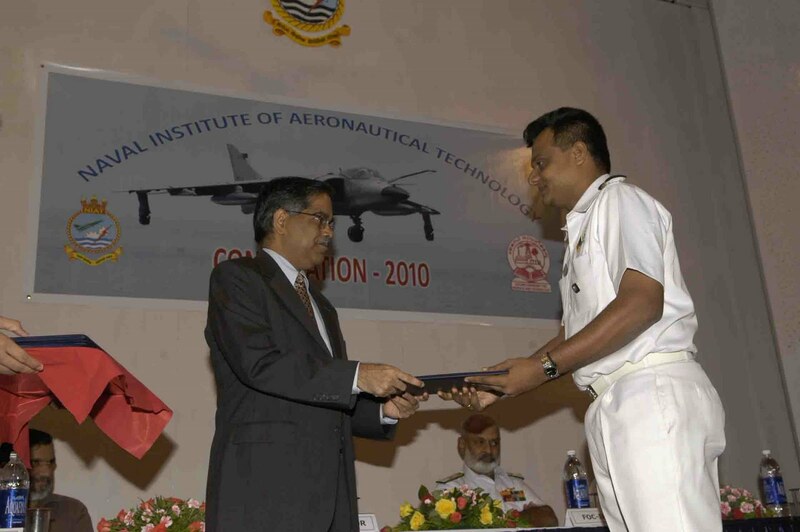 NIAT, the alma mater of all aviation technical personnel of the Indian Navy, has a glorious history which dates back to 1956. The Institute has been designated the Centre for Aeronautical Science and Technology (CASAT) by CUSAT. NIAT is equipped with latest facilities and simulators for imparting training on all types of naval aircraft, where trainees from friendly foreign nations also undergo training. 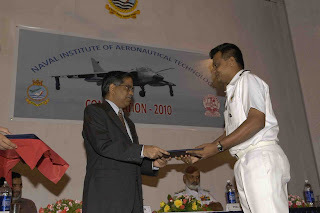 NIAT presently conducts MTech, BSc, Diploma and Advanced Diploma programs in the field of Aeronautics under a curriculum approved by CUSAT and Indian Navy. These programmes of the Institute have been approved by the All India Council of Technical Education, New Delhi. Presently, CUSAT has accredited about 80 courses conducted by the Indian Navy following an MOU signed between CUSAT and Indian Navy in 2002.